Even before Detroit became the largest city in American history to file for bankruptcy, residents were waiting for some new ideas ... or just a ride. That's because the only citywide transit option in Detroit is the public bus system, DDOT, which has suffered severe financial cuts. That means routes have been abandoned, buses are often late or break down, and drivers say they suffer assaults. The divide between Detroit and its suburbs is more like a gulf when there is no mass public transit to connect them. A young entrepreneur named Andy Didorosi thought that was absurd. So when it appeared in 2012 that plans to put even a 4-mile streetcar line through downtown Detroit were dead, Didorosi was fed up. Only 25 at the time, he was already a serial entrepreneur in Detroit, launching a co-working space called Paper Street, a local racing event called the Thunderdrome and numerous other projects. So he bought a bus, hired graffiti artist Kobie Salomon to paint it, and named it Bettis. That old school bus became the Detroit Bus Company, Didorosi's first experiment to show how mass transit could be improved in Detroit. "In other cities, you're a passenger," he says in the video above. "You can just cruise along and do your thing, and the city runs without you. But here in Detroit you have a chance to make a real difference. You can create a transit system, or you can create a new way to educate kids. It's unlike anywhere else in the world." Originally, the Detroit Bus Company drove a fixed route around greater downtown Detroit. There are 700,000 residents in the city, and Didorosi thinks they all need -- and deserve -- safe, reliable and clean public transportation. "There are people who lose entire livelihoods because they can't get to work in the morning," he says in the video. "And it's ridiculous that we don't have a system that works for that." That's what makes Didorosi's latest idea so essential. In October 2012, the Skillman Foundation approached him with a problem: There were tons of after-school programs in Detroit, but children couldn't get to them safely. Without reliable public transportation, children in Detroit often have to walk. Almost half of the streetlights in Detroit don't work, and assaults in abandoned buildings are a real threat. The easiest solution, Didorosi knew, would be using 20 buses or so to shuttle kids from activities back home. "As it turned out, that budget would've exceeded the total cost of all the Youth Development Alliance programs, so obviously not a good solution," he told The Huffington Post. Instead, he hatched another idea: a free, on-demand routing system that's all online. Call it crowdsourced transit, straight from Southwest Detroit. The bus company entered into a public-private partnership with Skillman, which gave $100,000 to the project, to create interactive planning software that lets program leaders identify pick-up and drop-off locations for students they watch after school. Soon, the company will unveil an online portal to show parents every development program available for their children in their regions. "We went with this model because it results in the most kids moved for the fewest buses and bus miles, thereby saving money for the entire system," he explained. "This system wouldn't be possible without those savings, but because we're only moving buses exactly when it's needed we're able to cut costs by 90 percent." The team at the Detroit Bus Co. also hopes its crowdsourcing transit software can one day be useful even outside the Motor City. "The same tech can be used to get people to work or give elderly and disabled people access to the care they need exactly when they need it," Didorosi told The Huffington Post. As a young entrepreneur, he knows he can't solve Detroit's transit issues alone. But Didorosi said he'll keep innovating, trying to serve people in the niches that public policy in Michigan so often overlooks -- as he says, "put the city back on wheels." 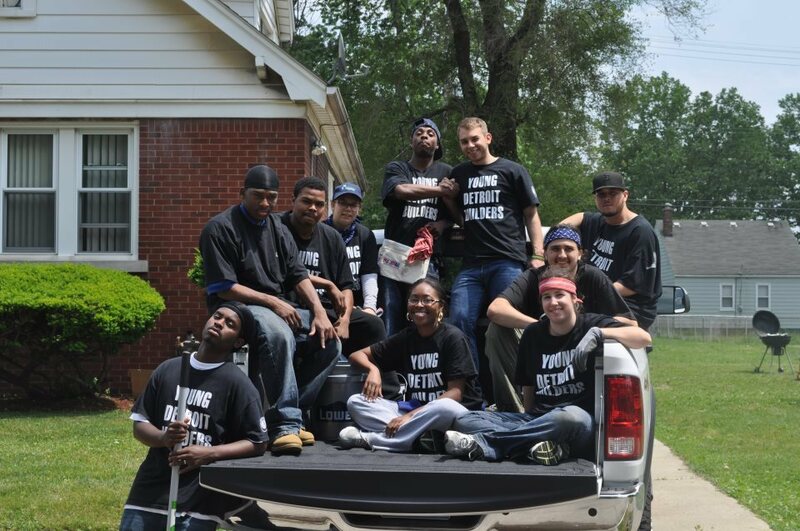 <a href="http://www.youngdetroitbuilders.org/getinvolved/">Young Detroit Builders</a> (YDB) is a nonprofit that has offered on-the-job residential construction training, as well as support services, counseling, leadership development, job and life skills preparation to the city's youth since 1996. YDB also offers certification through The National Center for Construction Education and Research. To find out more visit <a href="http://www.youngdetroitbuilders.com">www.youngdetroitbuilders.com</a>.